(Bloomberg) -- Netflix Inc.’s pursuit of Academy Awards could become an antitrust issue. The U.S. Justice Department warned the Academy of Motion Picture Arts and Sciences that potential rule changes, which could hurt Netflix and other streaming platforms, may violate laws meant to protect competition, according to a person familiar with the matter. Makan Delrahim, head of the agency’s antitrust division, sent the letter to Academy Chief Executive Officer Dawn Hudson on March 21, expressing concern about the way new award rules might be written, the person said. Delrahim is wading into a contentious debate in the entertainment industry. After Netflix’s “Roma” nearly won a best-picture Oscar this year, Hollywood traditionalists like Steven Spielberg have said that streaming movies shouldn’t be considered for awards. “Roma” did play in theaters, but in a limited run. Spielberg has pushed for the Academy to adopt rules requiring movies to screen in theaters for a few weeks before they appear anywhere else. Spielberg “feels strongly about the difference between the streaming and theatrical situation,” a spokesperson for the filmmaker told Indiewire. Such a rule would invalidate most of the movies released by Netflix, as well as some of those released by Amazon. 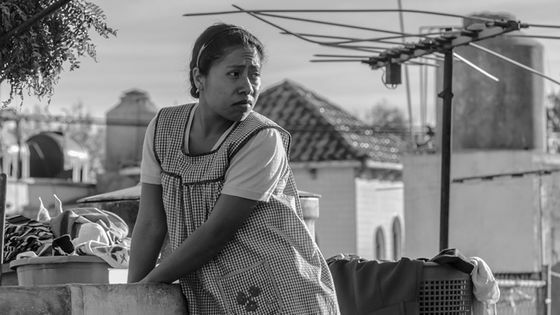 Netflix has softened its stance on the matter over the past year, releasing “Roma” in theaters exclusively for a couple weeks, but the company doesn’t plan to give movies much more time than that, Chief Content Officer Ted Sarandos told Bloomberg. Spielberg, who won a best-picture award for “Schindler’s List,” is one of the three Academy governors of the directors branch. The board of governors is tasked with setting the Academy’s strategic vision. In the letter, Delrahim said that if films that are distributed through online streaming services are excluded from Oscar eligibility and those films lose revenue as a result of being shut out of the awards, the rule could violate antitrust laws, according to the person. The Justice Department declined to comment. Variety reported earlier on the Justice Department’s letter.